The Intelligent Transport System implemented at Mysore addresses the critical issue of road congestion by offering state-of-art technologies and attractive, convenient, comfortable, value added services to encourage the usage of bus services against individual personal vehicles. Building intelligence into the transport system brings in the convergence of technologies providing a synergetic transformation in the commuter experience. ITS provides benefits in terms of reduce waiting time and uncertainty, Increase the accessibility of the system, Increase the safety of users, reduce the fuel consumption and emissions, reduce the operational costs, Improve traffic efficiency, reduce traffic congestion, Improve environmental quality, energy efficiency & Improve economic productivity. Who are Mysore ITS Stakeholders? 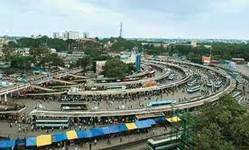 Stakeholders include Mysore commuters, the list of institutions and organizations like MoUD, GEF, WBI, UNDP, MoEF, KSRTC (crew, operations and management staff), IBI - Project Management Consulting, TCS - Solution Implementation Partner. I am a Commuter - What are my benefits? There are many benefits of using Mysore ITS facility. 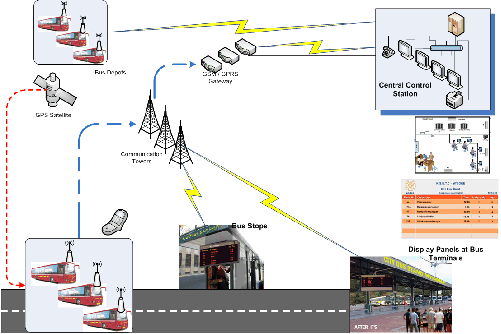 How to track a bus using Geographical Information System (GIS) map? Click on the "Track Your Bus" menu in this Commuter Web site. Mysore city road map will appear in a new window. You can identify and track the bus by first searching your bus route. Search route by entering "Origin" bus stop search box or directly entering the route number on the "Route number" search box. All the buses plying on the selected route will appear after selecting the route number under the "Search Result" section. How to use SMS for bus enquiry? The SMS system provides real-time bus arrival information and scheduled bus availability for the convenience of customers. In this way customers shall be able to plan their trip according to real-time information. 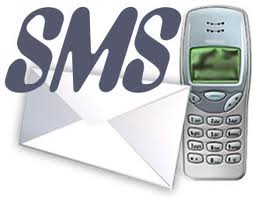 Click here to know more about the SMS query format. How to use IVRS for bus enquiry? ITS Interactive Voice Response (IVR) system is to provide responses to the KSRTC bus customer queries through pre-recorded messages to the extent possible. 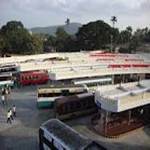 The IVR System is expected to save time, manpower and money for KSRTC. The system will provide information in Kannada and English specific to Mysore bus operations and will be accessible from mobile or landline phones. Call 1800-425-5220(toll free number) or 0821-2520070. Click here to know more about the IVRS query format. How to know more about Bus Route Information? 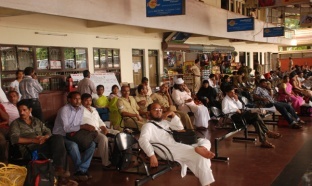 KSRTC operates many bus route services across the city. 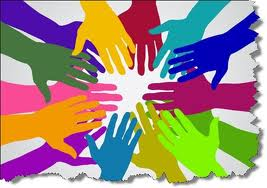 Click here to more about bus route information. You can also visit the Route Map to view the details of bus stops for a bus route.